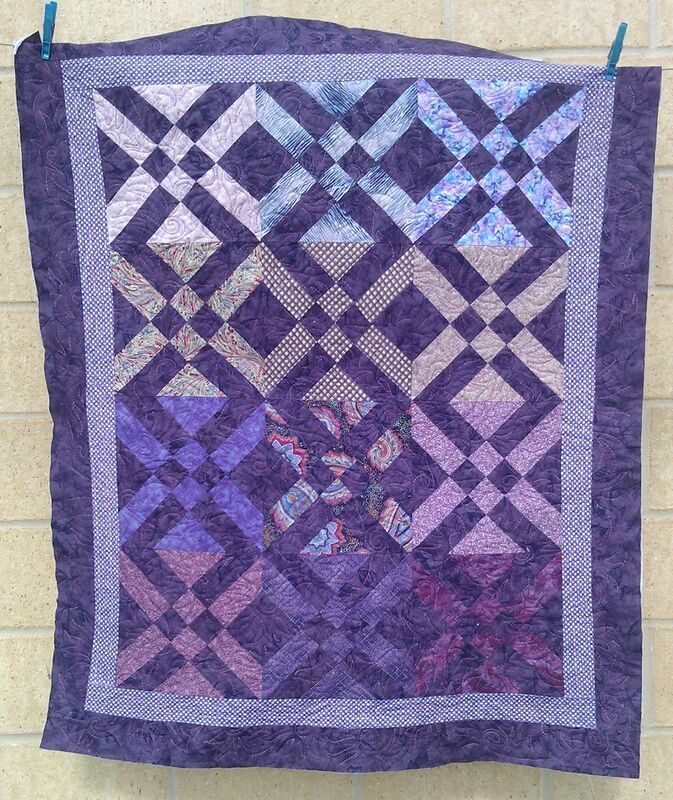 I’m nearly at 100 community quilts… three more to go! Though I’m not sure when I’ll reach that milestone as I know I have a LOT of drop-dead deadline work coming up between now and October. 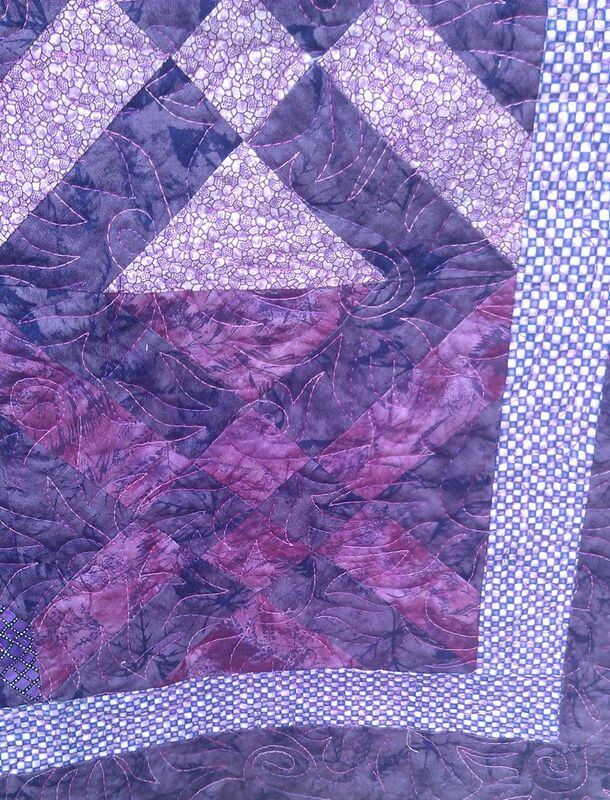 This quilt was a quickie as it wasn’t very big (about 30 x 36 inches) and I quilted it with an all-over design. 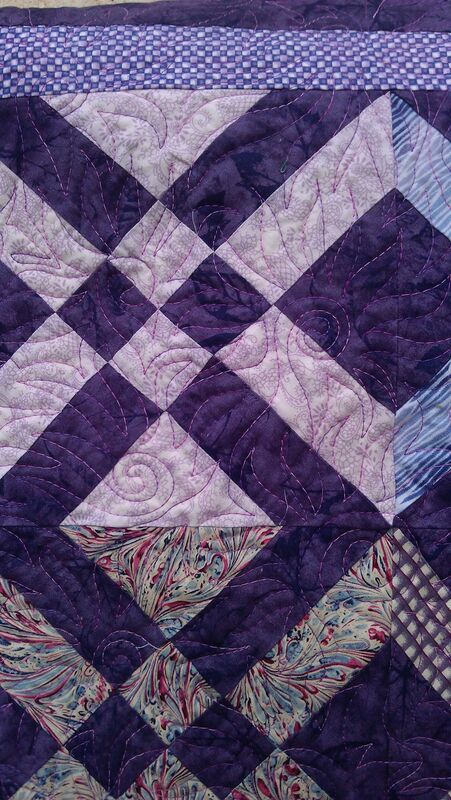 I did something a little different in the design — I combined a soft spiral with flames to create a sun-like effect, using a variegated pink and purple thread. I hadn’t done this design before, but it was simple to do so I’ll probably use it again. 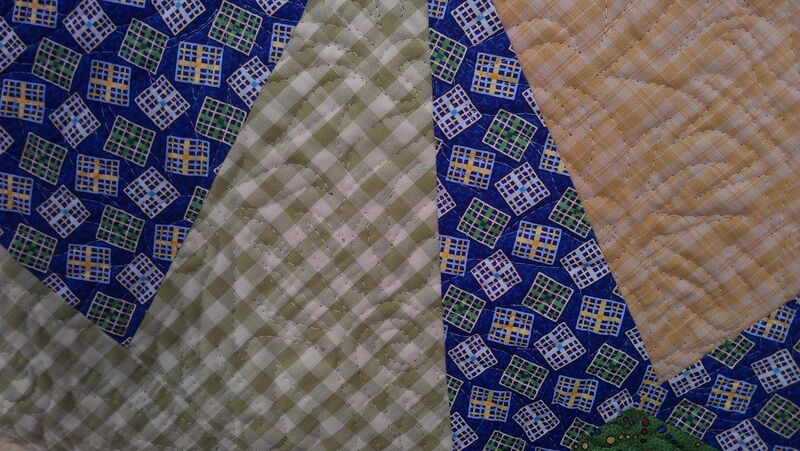 Oh, and this quilt had a pieced back too, so it’s reversible. Very nice and the texture (once washed/dried) will be amazing!!! Hugs…..